Mom Says: 'Learn Chinese' : Code Switch When NPR's Elise Hu was younger, she says, she wished her mother would use English more. Now, Mom's insistence in speaking Mandarin is a gift Elise wants to give her own daughter. The journalist with her half-Chinese daughter, Eva, on the Lunar New Year. Eva's outfit says "dragon" in Chinese. My earliest memory of code switching is at Pizza Hut, back when Pizza Huts were sit-down restaurants with salad bars and garlic bread. (Like any daughter of immigrants, most of my memories involve food.) My mom and dad would speak with the waiters in English, ordering our pan-crust pizzas and Pepsi products, but we used Mandarin at the table. Our Mandarin was our secret code. It was only at restaurants, malls or school events that I ever heard my mother use English. My mom spoke to my brother and me exclusively in Mandarin since we were born, even though we were born in suburban St. Louis. My dad switched between English and Chinese with ease, but the memories of my artist-turned-diplomat mom and the early lessons she taught me — be it how to mix paints or bathe my cocker spaniel, or the importance of generosity — they all exist in Chinese. Growing up, dropping into Mandarin with Mom was so normal that nothing stands out about it in my mind. What became notable as I got older was her halting relationship with English. N's are a real trip-up for her; she likes to pronounce the letter N like "un" rather than "en," so I could tell she had to repeat or explain herself any time she needed to spell her name to make appointments. When we went to the mall together as a child, I noticed the makeup counter ladies didn't engage my mom like they did the other moms, and I wondered if she was getting left out of other mom-related groups, too. By middle school, shame over my mom's accented English made me ask her to stop volunteering to go on class field trips. She says she had been expecting the day to come when I found her embarrassing, whether it was because of language or just run-of-the-mill preteendom. Today, I still occasionally jump in and speak for her at places like doctor's offices, fill out forms that she might not clearly understand, or call the airlines on her behalf to change her flights. I now wear as a badge of honor what were once moments of shame or nuisance. My mom gave us such a gift by insisting we use our mother tongue that I'm trying to pass it on to my own daughter. 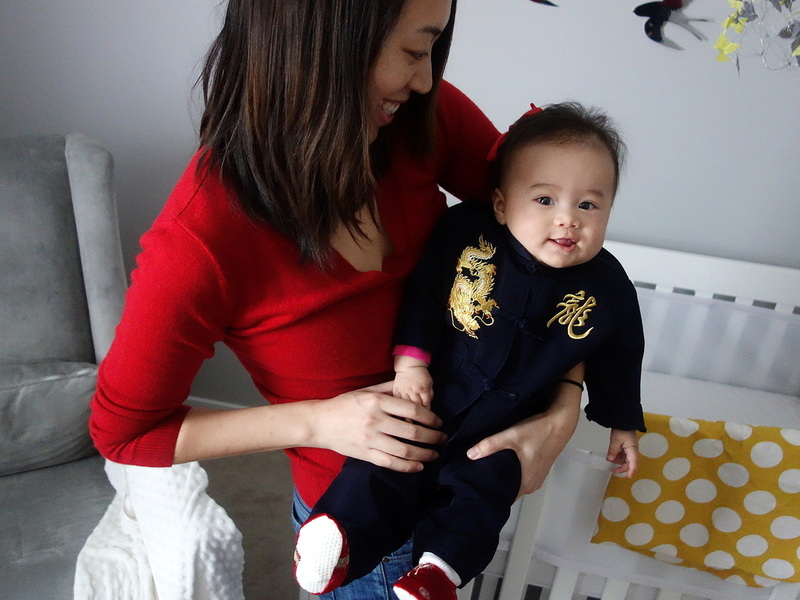 Baby Eva is mixed race and second-generation Chinese-American. Her solely English-speaking dad, Matt, says he needs subtitles when he takes part in dinners and vacations with the extended family, because without them he feels isolated and bored. His futile attempt at pricey Mandarin courses taught over Skype gave him some recognition of common words, but not much more. Now, he says, "It's even worse that I understand about 15 percent of the conversation, because it's just enough to be tantalizing and not enough to get what's going on." Eva isn't old enough to talk yet, but she is already getting daily, concentrated exposure to words and tones that don't match her dad's. We hired a Chinese national to care for the baby, speaking Mandarin exclusively, in hopes Eva can learn Mandarin as I did — at the same time she learns to talk. This is an experiment, and without serious commitment, its failure is likely. Early exposure to Mandarin at home is probably not enough to balance against the pervasiveness of English all around Eva. I have two Chinese-born parents and only spoke Mandarin with one of them. Eva has two American-born parents who will strain to maintain enough Chinese at home for her to remember. Had my mom not obviously struggled with her English and insisted on Chinese at home, my young self probably would have refused to use Mandarin and quickly lost it, to my later detriment and regret. But whether it's traveling to my ancestral homeland, holidays with the extended family or marathon eating at dim sum on Sundays, being able to order off those carts in my mother tongue — and my mother's tongue — makes me feel part of the Chinese family writ large, and my own. So many elements make a culture — religious practices, traditions, pastimes. But of them, I find language best links me with my ancestral community. Eva may only be half-Chinese, but I want her to enjoy full benefits of a Chinese heritage. Elise Hu is a digital journalist at NPR who contributes to online and on-air platforms. You can follow her on Twitter @elisewho or follow Baby Eva at Eva's Tumblr.